Imagine this scenario: You step out of the car to attend a call, absentmindedly closing the door behind you, and after you finish the conversation, you realize that you’ve locked your keys in the car. We reckon that this situation might be familiar to you. There are several people who find themselves in similar situations and don’t know how to resolve it. At AJ Locksmith and Security, we have helped several clients in the Dallas Metroplex area with this situation. 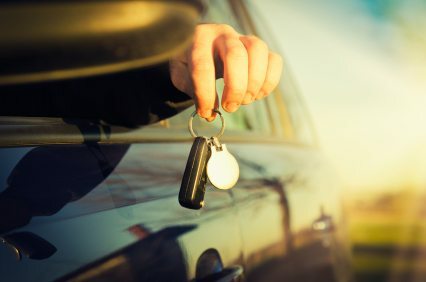 our professional automotive locksmith can be there quickly enough to cut a new car key, or just to unlock the door. When a client is stuck on the roadside, with keys locked in the car, we know that we need to reach them promptly. our automotive locksmith emergency response is about 15 minute if you’re within reach. Our locksmith would reach your location promptly and make sure that you don’t have to wait too long. Our 24 hour emergency services also help clients who need assistance after hours. An unskilled locksmith might know how to handle a lock and key, but they’re not always familiar with car locks. This can be a problem because an unskilled locksmith can damage your car while attempting to open it. Our licensed locksmiths have the skill and the experience to ensure that you car remains undamaged. They also know to follow the proper procedure and will confirm the ownership before opening the car door or giving access to the keys. This ensures that a locksmith doesn’t give anyone else access to the keys locked in the car. It’s very rare for a skilled locksmith to damage a car and our experts have never damaged a client’s car. But we want to offer our clients the assurance that if our locksmiths do, we’re insured and we can cover the expense involved. We take a lot of care to ensure that our locksmiths’ skills stay sharp. Most of them can handle any problem with lock and key easily. We send out our best skilled locksmiths to ensure that your keys are retrieved safely, without any damage. So, if you’ve locked keys in the car, don’t worry. Just give us a call and well send an expert locksmith your way.